There are many myths about Amiga, that I want to Explain. Reason is that there are so much missleading information on YouTube, Facebook and other discussion forums. Makes me think, who did start these myths about Amiga? Let’s Explain for You! – It is correct that MP3 music can be quite demanding. You need to cut down the settings on a 68030 as this is what MP3 require as a minimum with all settings set to low. However there are solutions for most of the Amigas. Either you can upgrade to a 68060 50MHz CPU that can play MP3s upto 320kbps at 90% CPU usage or you can purchase a music card like Prisma Megamix or a soundcard with a DSP that can handle the MP3 playing, leaving rest to everything else for the Amiga. So the fact is that Yes, Amiga can play 320kbps Quality songs. However, you do need to Upgrade it. All Nextgen Amiga systems running AmigaOS 4, MorphOS and AROS have no issues playing them. – The classic Amiga line of computers stretches from PC XT machines speeds to 586 or Pentium speeds. There is little chance to be able to play Doom on your basic Amiga 500, but Gloom in 2×2 works on a stock Amiga 500 actually with 1MB of RAM installed. To be able to play Doom alike games on Amiga you need a 68030 (equal to a 386 PC) to get some decent FPS stats. For me, most of FPS above 18FPS is playable, however 30FPS is a nice touch, with 60FPS excellent. To get 30FPS in Doom on Amiga, you will need a 68060 or higher CPU. A graphics card is also recommended. Our Amiga 1200 with 68060 50MHz and 32MB RAM handles Doom pretty well at around 30FPS which is totally playable. The Amiga FPS games like Breathless, Trapped II, Gloom (enhanced version) and Alien Breed II 3D runs at around 30FPS. Same with Payback (GTA 3D clone for Amiga), Xtreme Racing, Flying High and Alien F1 racing game. So, the fact is Yes! Amiga can play 3D FPS games as any PC or MAC with same CPU specifiqations. 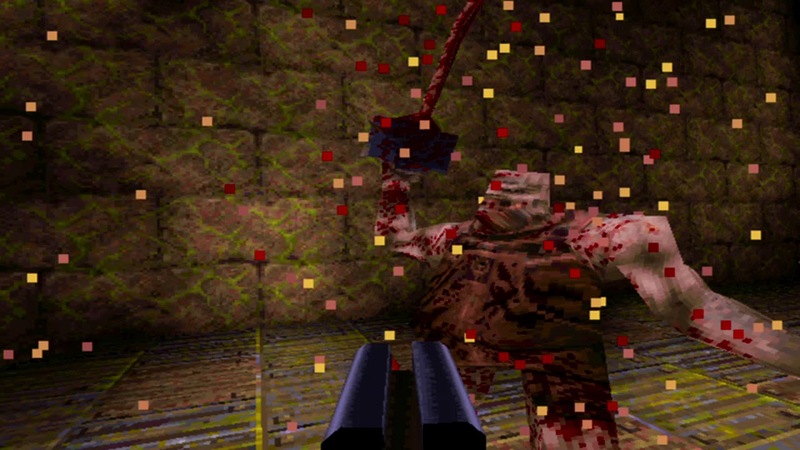 To run Quake, you need a graphics card for 68060. There is a Quake port that runs at 21.5FPS on a 68060 with graphics card now! However if you need speeds over 30FPS, you will need a AmigaOS 4, MorphOS or AROS compatible hardware. They run on PowerPC and x86. There are even games like WipeOut 2097, Heretic II, Shogo, Quake II, Quake III, Return Of Castle Wolfenstein, Doom and many other 3D alike games. If you do have a 3D capable graphics card inside your Classic Amiga or Nextgen Amiga, you will also have much higher FPS rates. Quake 1 on MorphOS got over 115FPS etc if you tweak it enough. – Either you have Classic Amiga or a Nextgen Amiga. You can use your Amiga as a home office machine. You might not find newest piece of software for the Classic AmigaOS line, but you have great wordprocessors and calc programs that will help you quite far. You have Wordworth, Final Writer (now getting update very soon!) and PageStream which is a full blown Desktop Publishing program with Vector Drawin capabilities and PDF export support. Turbocalc is also a nice piece of software for i Classic AmigaOS line. For the Nextgen systems like AmigaOS 4.x and MorphOS you do have a much more updated PageStream, but also software like Calimero that got Microsoft Office, PDF and OpenOffice support. There is also heavy development of CinnamonWriter for both of the platforms. So, the fact is that Amiga can be used as a home office but with limitations. 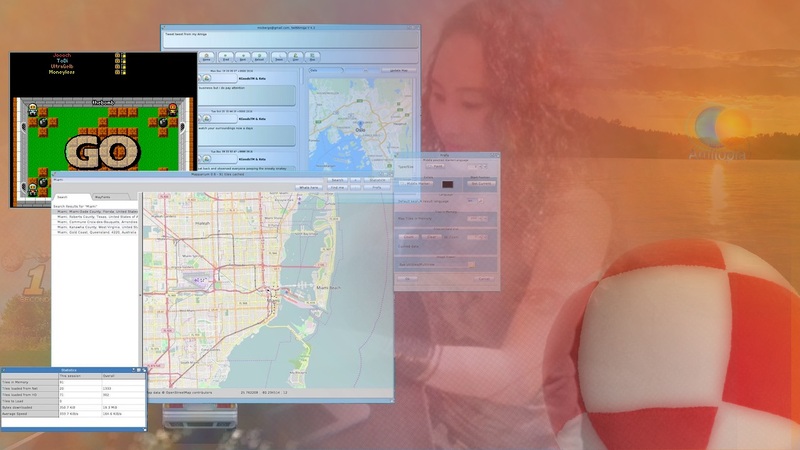 There are also home office programs like Mapparium which gives Classic AmigaOS with graphics card, AmigaOS 4, MorphOS and AROS a full blown OpenStreetViewer app. With this you can browse the world with a quite detailed and a fast map choice. This software alone is one of the best map apps on any platform. The speed and quality of it is out of this world really. When it comes to browsing the net, I would suggest to use one of the Nextgen AmigaOS systems, because the CSS, HTML5 and especially social media sites demands a lot. Even a 68060 is a terrible choice here, even though it is fully capable of browsing Amiga HTML websites which even runs fine on a 68020 Amiga! AmigaOS 4, MorphOS and AROS is recommended here. Odyssey web browser have come quite far, but even this browser is out of date compared to the PC, Mac and even Linux browsers. You can use it with your netbank, Facebook and to some extend YouTube. But using them for Google Maps, Google Docs, Google Drive and GMAIL isn’t possible anymore since 2015 when Google decided to throw out support for other browser than Google Chrome and Firefox a bit by bit and now back in summer 2016 GMAIL isnt compatible with Odyssey for the Nextgen AmigaOS systems. This is really a shame. – Yes, there are a few thinking that Classic Amiga line is only OCS, ECS or AGA. This claim is going on and on, but the truth is harder to swallow. All Classic Amiga linup and Nextgen Amiga systems can have graphics card installed. 3D graphics is also supported by both Classic and Nextgen Amiga machines. There is really no limitations to this and Commodore did create so many expansion possibilities for all Amigas, that even today in 2017 there are New graphic cards available for all Classic Amiga machines. Latest is VA2000 for Zorro based Amigas that you can read about here on Amitopia website etc. So, the fact is that Amiga is upgradeable and does even handle ATI Radeon 9200 graphics cards! Yes, Amiga hardware from 1985 and 1992 have full graphic card possibilities. 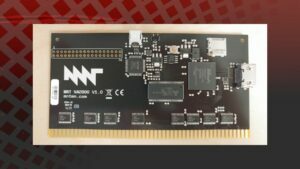 Amiga 500 got its Vampire 500 V2 expansion card launched in 2016 for example. This card is connected to the side of the Amiga 500 and gives 24bit screenmode out with a HDMI connector even! So, if you have a OCS or ECS Amiga and want to play games like Doom, Quake, Heretic or render your Lightwave 3D creations way faster. Then there are solutions for you now. Amiga machines can have graphics card expanded thru Zorro, PCI, AGP, PCI-E and other solutions. – I am using TVPaint daily, that got a 3 Layers and 2 Drawing boards support. There is also ArtEffect which is a photo editing software for Amiga that is more alike Photoshop for other platforms. Latest PageStream 4 and PageStream 5 for the platform also do have Layers support that works great. All of Amitopia’s magazines back in the days were produced with PageStream, a lovely piece of software for Amiga. 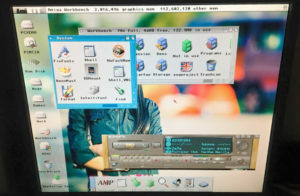 So, the fact is that Amiga does have apps with Layers in them. Not so many, but they are available. Use Amiga as much as you can or just use it together with your Mac or PC. I hope that we are able to kill some of the myths here. AmigaOS is different than Windows, MacOSX and Linux. Stay on Amitopia website for all the latest Amiga news and articles. I hope to bring you great news updates about both Cinnamon Writer and the updated version of Final Writer. Share and Bookmark Amitopia today!